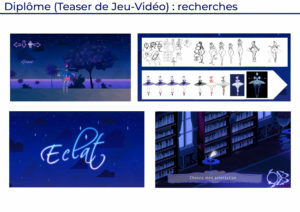 “Eclat” is the name of my graduation project. 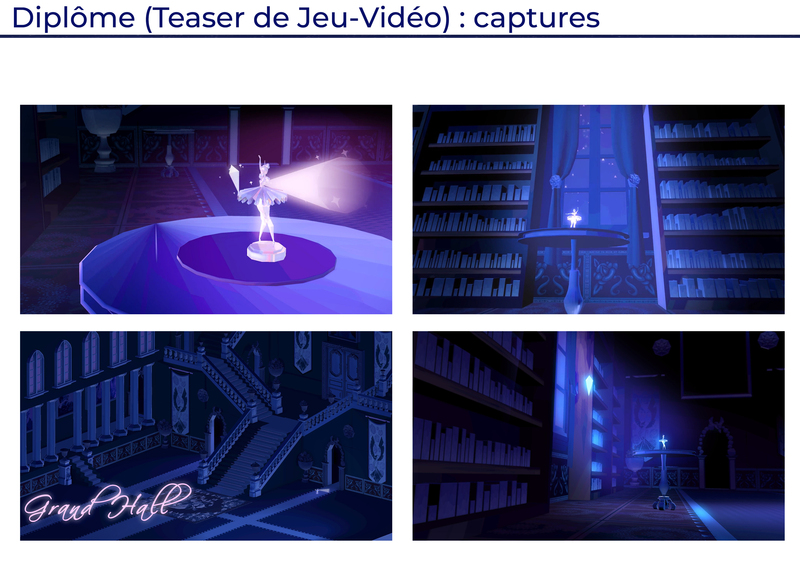 It’s a short Video Game teaser, with fake game footage. 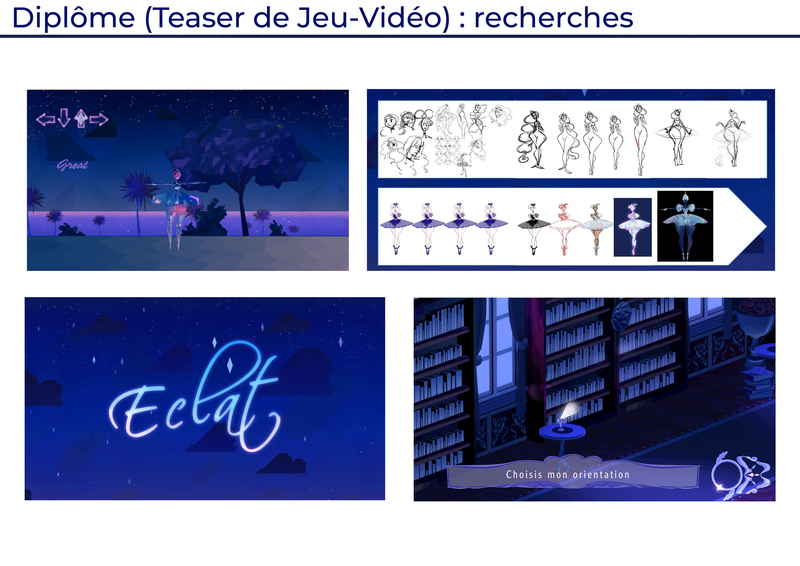 “Eclat” tells the story of a tiny glass statue who wanted to flee the house where she’s kept to get to shine with the stars.